Lovers of the arts who visit The Theatre in Chipping Norton will find their wallets and purses a bit lighter from next week, when a new booking fee is introduced. From 22 April, a £1 per ticket booking fee will be levied when you book tickets, regardless of whether you book online, by telephone, or even in person at the box office. The fee does not directly correlate to the actual costs to the theatre of booking tickets; Theatre director John Terry has said the new fee is to help The Theatre “make up ground” due to the fact that “charitable trusts and local authorities are struggling to maintain levels of funding to The Theatre”. The fee already applies to online booking, but from next week, phone and in person bookings will also be subject to the additional £1 per ticket. However, it will not be levied for flat rate children’s shows or workshops and activities that come under The Theatre’s “Take Part” banner. Group bookings for more than 10 people for a single show, and bookings for events taking place outside of The Theatre will also be exempt from the fee. 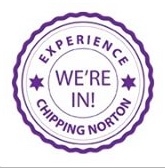 This entry was posted in local services, news and tagged booking fee, Chipping Norton, funding, The Theatre. Bookmark the permalink.